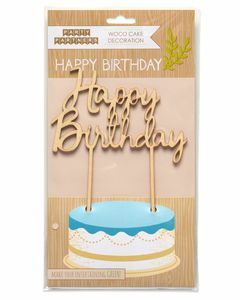 Top off the birthday cake with a pretty birch wood Happy Birthday cake decoration! 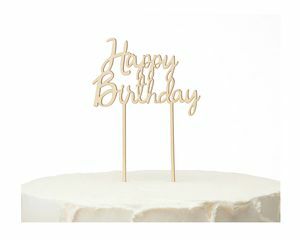 Biodegradable and farmed from sustainable birch wood, this 6-1/2” x 4” cake topper is sturdy, eco-friendly and stylish, too. 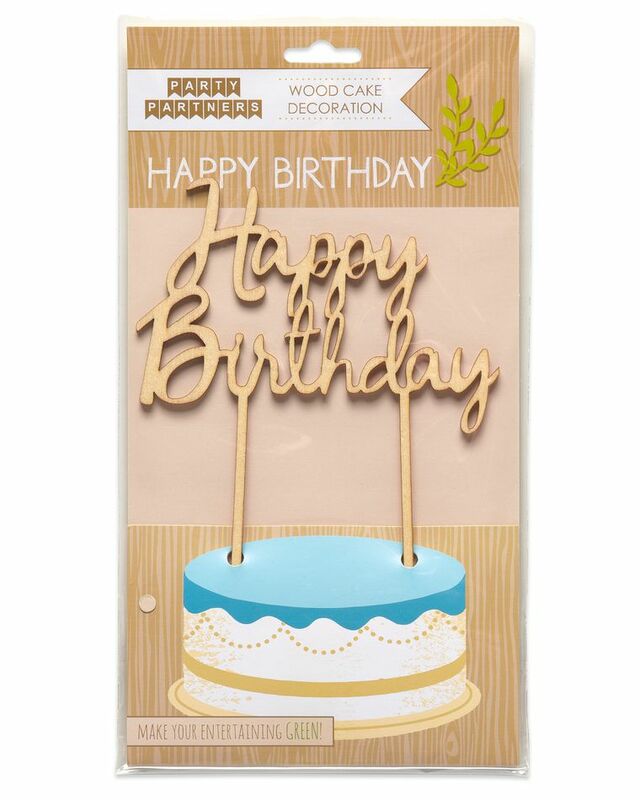 Trendy, laser-cut wood Happy Birthday lettering has two picks attached so you can easily insert it into the cake. 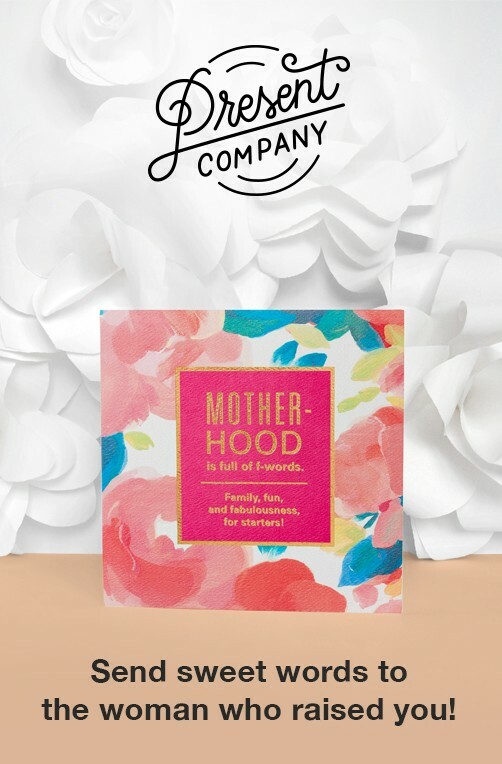 Coordinate with our matching birch wood dinner plates, cutlery and bowl (all sold separately) for a party table setting that’s photo ready!